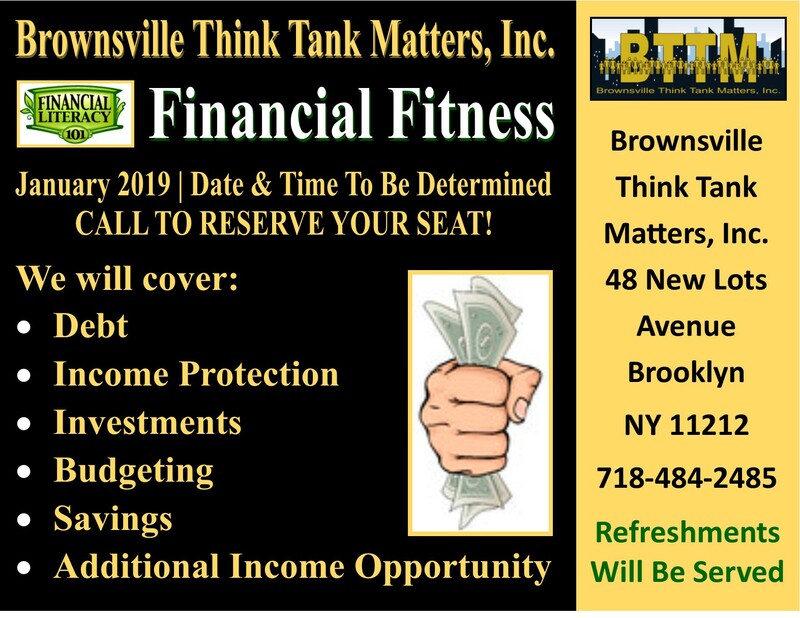 BTTM IS OFFERING A FREE FINANCIAL LITERACY WORKSHOP ALL ARE WELCOME! 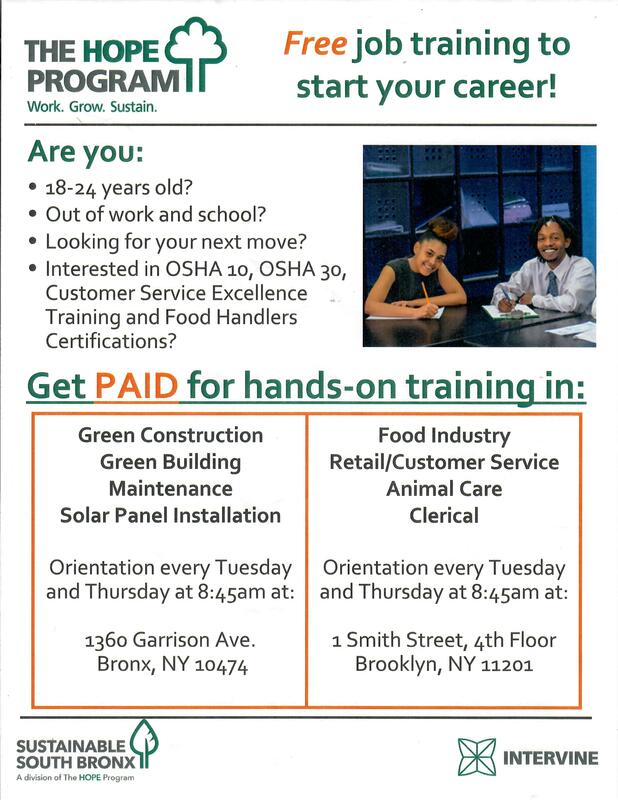 FREE JOB TRAINING FOR YOUTH 18-24 YEARS OLD! 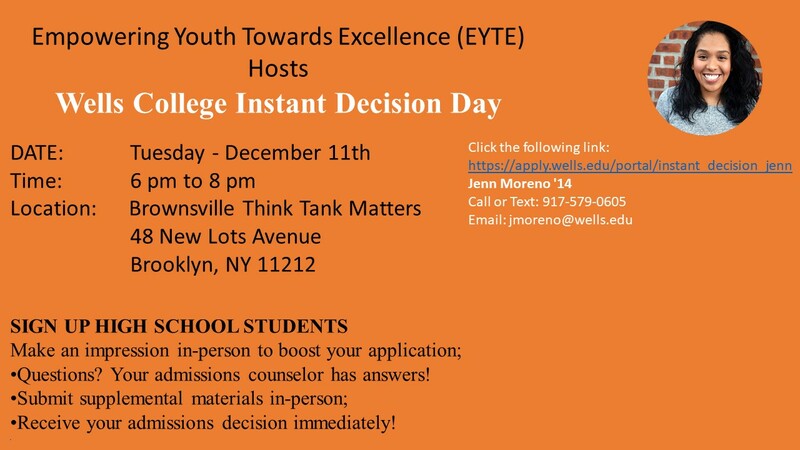 SEE FLYER!!! FREE JOB TRAINING TO START YOUR CAREER! 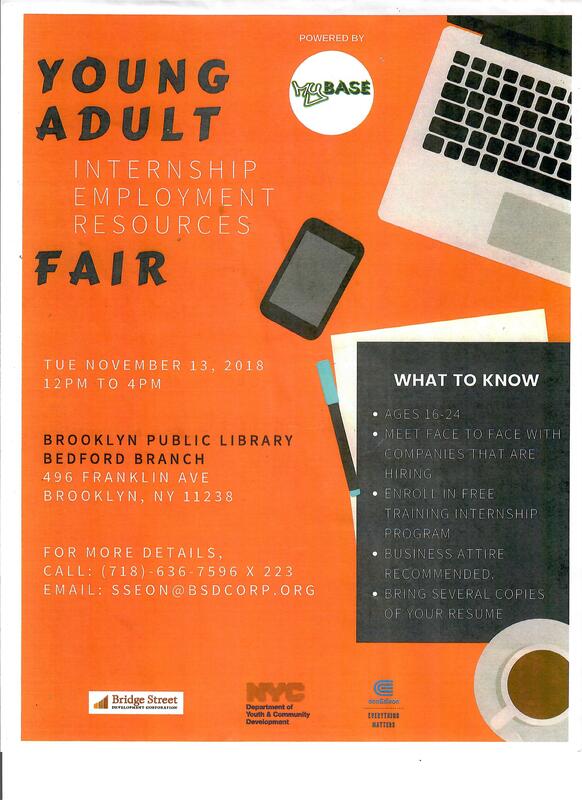 YOUNG ADULT INTERNSHIP, EMPLOYMENT AND RESOURCES FAIR–SEE FLYER ATTACHED. SPACE IS LIMITED!!! 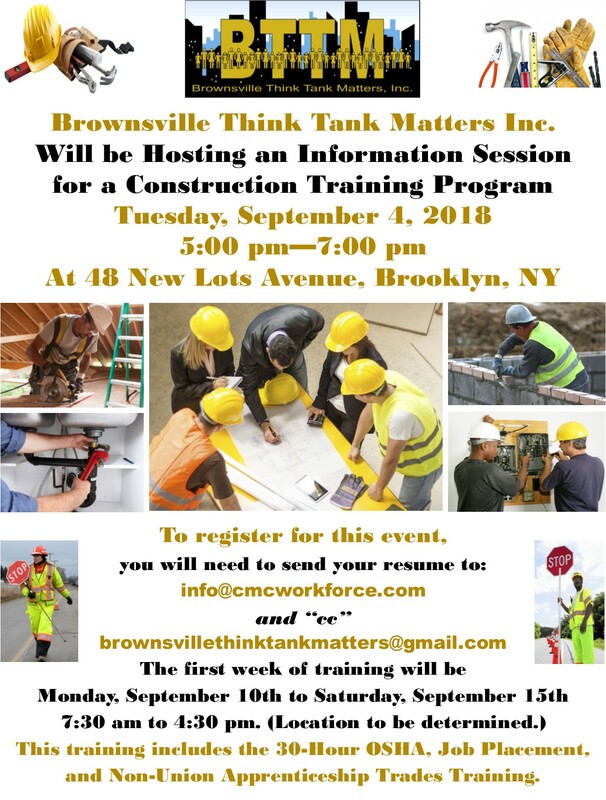 BROWNSVILLE THINK TANK MATTERS INC. 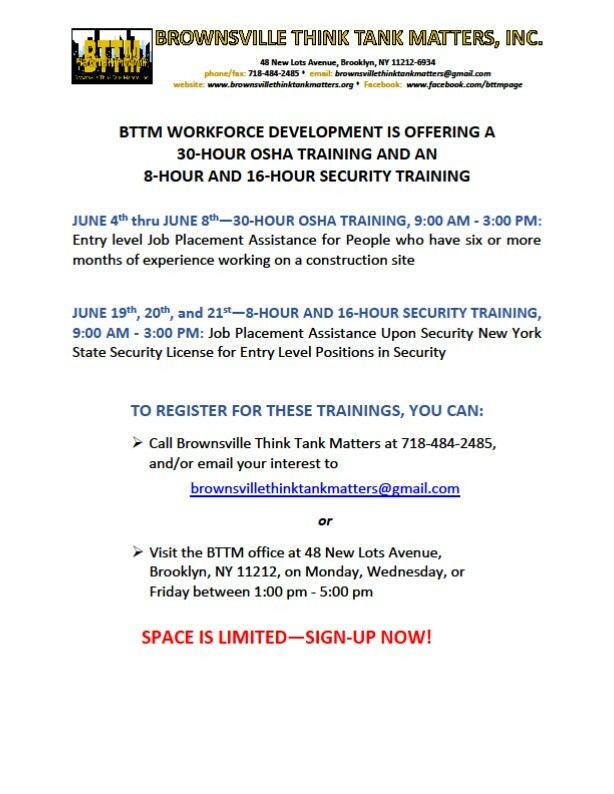 WORKFORCE DEVELOPMENT DEPARTMENT IS OFFERING A 30-HOUR OSHA TRAINING AND AN 8-HOUR AND A 16-HOUR SECURITY TRAINING FOR RESIDENTS OF MARCUS GARVEY VILLAGE IN BROWNSVILLE, BROOKLYN, NY. SEE FLYER ATTACHED.